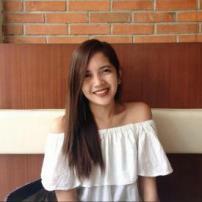 She's a freelance creative since 2014 and a graduate of Bachelor of Science in Business Administration major in Business Economics. She's also affiliated with Up Work and currently works in a small business website as a social media marketer and a virtual assistant. Aside from writing, she's also a small-time business woman, who makes earning a habit! 'The Originals' Season 5: Final chapter welcomes new addition, who is Landon? 'Better Call Saul' season 4 premiere: Is the official release happening in 2018? 'The Walking Dead' season 8: Will Negan be on a killing spree once again? 'The Originals' Season 5: Who will Klaus choose? Is it Cami or Caroline? 'Fast and Furious 9' update, release: Dwayne Johnson feuding with Tyrese Gibson?